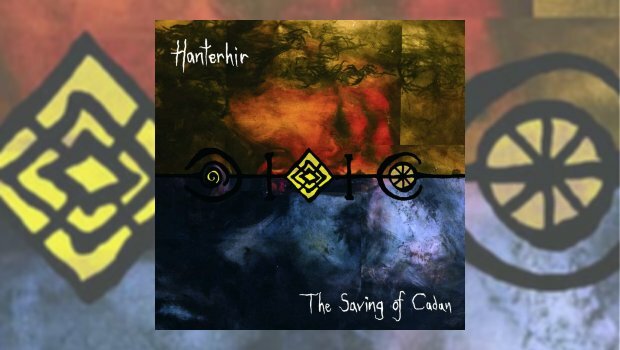 There are influences here , however I think this is an original piece from Cornish progressive band Hanterhir, who are based in Redruth. Their name is a corruption into Cornish of Semilong, the Red Light district of Northampton (to change requires switching the light bulb). It is a concept album, “Oh no” I hear you say, “more prog concepts”, but it is really an enjoyable listen overall. The vocals on the opening track could do with being one step forward, but it is nice. They’ve been around for 11 years now, but this is my first encounter with their music, and I feel I may have missed something, whether this is their most accomplished album or I missed their growth I cannot be certain, but I wish I had them heard before. If they play in pubs, they need a bigger stage – promoters please note. Three tracks in, I’m still finding the clear vocals that step back from not being smothered by the other instrumentation, which is a great noise, quite rock without being metal, but the important thing here is that the tunes hang with you. The music I hear is atmospheric in the fullest sense, you can wallow in it like a mud bath. Via headphones on some tracks there is a clearer sense of separation. The more I listen the more I feel justified in slipping this into my top ten for 2018. In terms of instrumentation the horses have not been spared, but when translated to the recording they also go unwasted. Reminding me of Arcade Fire, where there are issues, I can understand what my son means by over use of distortion (playing back an ear variant of Hope Comes, but a little purer). Point taken, but I still like Hope Comes as it is. I must look out for a live performance, what with them being a “local” band to me and all. Not easy to pigeonhole and that to me is very much part of their charm, I can only compare them with the best of the fun and Avant Garde of the last forty/fifty years. Even when instrumental it is so much more than just a noise as I am swept along, toe-tapping to Sorrow Goes, distortion working brilliantly from the guitars to the saxophone. Listen to the music, not getting hung up too much on the production, and this album continues to grow on me with each hearing. An instant like is a great thing, but often fleeting, and in The Saving of Cadan I feel that I have found an album that will be treasured in years to come. Area of conflict? Great vocal performance, but too much echo, atmospheric but I feel the sound of a recording in a cavern distracted a little bit, not much, but a little. That however is by far my most scathing comment on the work of Hanterhir! There is much contrast here, a blending of multiple styles best heard, so I skip forward to The Fisherman. Here again sounding like Arcade Fire, with a touch of Daniel Lanois production, a like yes but merely representative of the quality of the material, so amongst that revered company rather than a copy. If I knew what ‘Neo-Prog’ was, I would probably slip it into that category. Acoustic and amplified instruments effortlessly combined, equally at home with a straight forward tune as with one that may be discordant, it involves and evolves; the listen is challenging though never hard. I would be intrigued as to what a 5.1 mix of this would be. The saxophone element that pops up throughout also reminds be of Van der Graaf Generator, it seems to combine the best of historic progressive music and the indefinable that was called indie, Worlds Apart being a clear example of this. Mowenna and the Lamb is a track with less ‘cavern’ vocal, and in turn the strength of the vocal performance shines through. Lots of distortion, but finding myself less distracted than I might expect by it, though not for the fainthearted. In the words of Ben Harris of the band, “The story is about a boy, Cadan, who tries to drown himself in a lake on Carn Marth and gets saved by a wicked spirit who was cursed to the lake (The Lady of the Lake or Morwenna)”. Recorded over an extended period in a Methodist chapel, a llama farm, a cricket club and, just to be on the safe side, a conventional studio, the album is the first fruit of a relationship with internationally renowned and Cornwall-based Easy Action Records. Spread over a budget-stretching five sides of vinyl or two CDs, the album is a mammoth project but, as Freddie Mercury said, “If something’s worth doing, it’s worth overdoing”. One of the best finds of last year, great fun, an interesting tale, superb music and even as it comes to an end with Or Without You, like young Oliver I want more.